Today is a very good day for our site. After five years of headaches, confusion, and restraint we are beyond excited to tell you we are no longer associated with Buzz/Spin Media. We thought joining a giant digital company who claimed to have our best interests in mind would be the key to making UTG the international entertainment destination we believe it should be, but we were wrong. Very, very wrong. Due to a bunch of legal mumbo jumbo I won’t get into here, there isn’t much more we can say on the topic of leaving Spin Media other than the fact we are thrilled to finally have control of UTG back in the hands of the people who run it. We have been unable to update the site’s theme, play any role in advertising, or even get the people backing us to promote us for over five years, but that time has come to an end. A new chapter is beginning here at UTG, and we want all of you to be involved. What does this mean? To be honest, we’re still working it out. As it stands now, UTG is run by a small team of individuals who are entirely unpaid for their continued contributions to this blog. We pay for everything out of pocket, including all costs associated with event coverage, as well as the hosting fees that come with keeping a site as large as ours online. We do this because we love what we do, and we believe many of you enjoy our work as well. You may have noticed that UTG is not what is once was in terms of who and what we cover, and there is a good explanation for that. I (James Shotwell) launched UTG from my college dorm room when I was just barely 20 years old, which is almost a decade ago at this point. I will be 28 in a few months, and for the first time in our site’s history I think I can safely proclaim the average age of our contributor base to be right around 25. A few of our writers may be in college, but most are not. Some of our writers still love the alternative scene we have covered from day one, which we will always cover, but others have evolved into entertainment consumers with incredibly diverse tastes. We have always encouraged our contributors to write about what they are passionate about, so we have repeatedly changed our editorial direction as more and more contributors saw their own entertainment preferences begin to change. Most of the time these changes have been for the best, and when they weren’t we made sure to correct our errors as soon as possible. 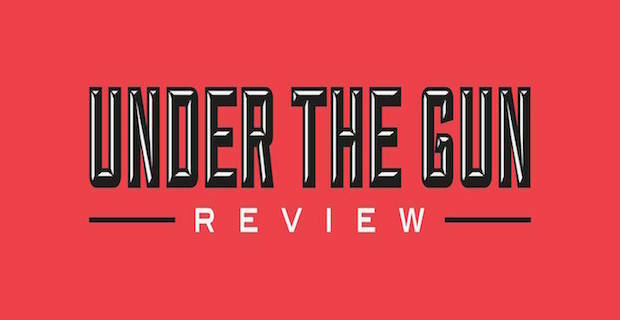 Today, UTG is an entertainment hub that focuses far more on original features, including editorials, reviews, and interviews, than on the type of disposable news blurbs you can find on seemingly any music news site that is active today. We have big plans to expand on these efforts, including the potential for a podcast, as well as a resurgence of our numerous recurring editorial columns, but we are still taking things one day at a time. With essentially all of our staff needing employment outside of UTG in order to keep working on UTG however, we can only do so much every week, which is why we’re making this announcement today. UTG has just launched a Patreon page so that those who believe in our work and want to see it continue can help by supporting the people who keep UTG alive day in and day out. The idea is simple: People who wish to contribute to UTG pledge to donate a small amount of money every month to our continued existence. Our goal is $2 per reader per month. As far as how the money will be used, it’s all about promoting the future of UTG. The first $50 generated each month will pay the site’s hosting fees, which will allow us to continue operating. The rest of the money will be divided up amongst the site’s various contributors. That way, every person who donates will know their money is putting food on someone’s table or gas in their car. Your donations will not be used for parties or pointless expenses, but rather to reinforce the idea that good writing deserves to be rewarded. The entire team at UTG puts in hundreds of hours a month and see no return for their work. That fact has always driven me crazy, and I would hope it drives some of you crazy as well. Together, we can make a change. In other monetization plans, we do plan to offer site sponsorships to bands, labels, and industry professionals seeking to promote their latest event or product. More information about that will be made available in the near future. I know this is getting long, but before I go I just want to thank each of you for 7.5 years of continued support. When UTG launched I had no plans for it to ever become something more than a means to free music, but it quickly developed into something much bigger than myself or anyone associated with this site could have imagined. We have so much we still want to do, but at this point the only way we can see to ensuring that happens is by asking you to help us out. As I said above, the link will be available soon. If you cannot support us financially, don’t fret. We know not everyone can give. That’s it for now. Thank you for everything. Amazing news. I actually just realized yall were owned by spin in the last month or so and it broke my heart a little. Haha. I love the variety of genres and entertainment that is covered on this site and am very excited to see where the site goes from here. Much love from a 29 year old father & faithful reader. Thank you so much, K. That means a lot to us, truly. We appreciate your support and continued visits to the site. Really excited to see where you go now that you have our freedom back. The podcast idea sounds awesome!